Thank you to Lenka Cathersides for the following research. Thank you to Peter Davidson for further research. 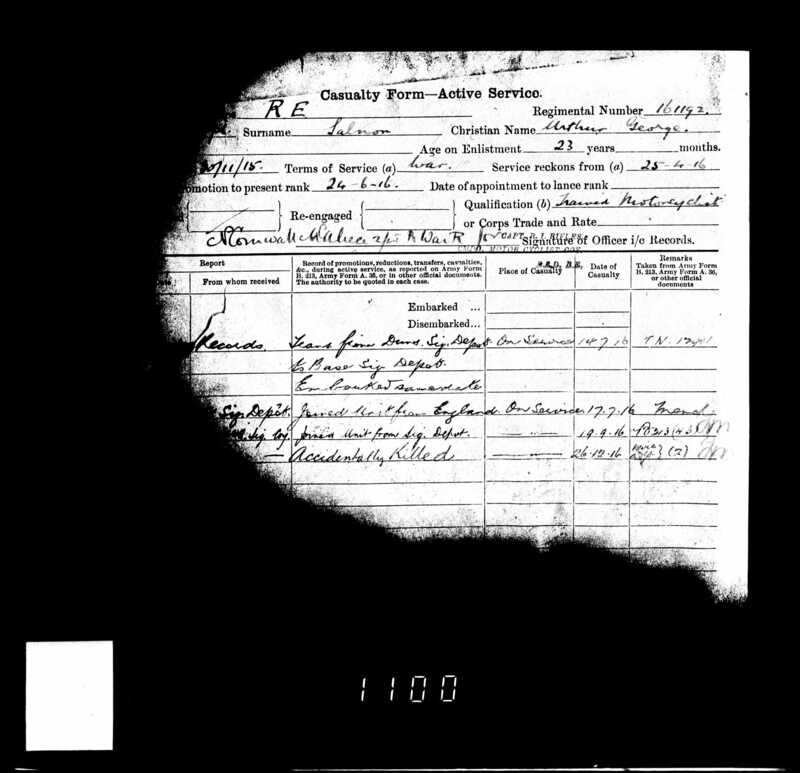 Arthur George Farmer was born about 1893 in Greenwich, Middlesex to an unknown woman. He was adopted by gardener and coachman William George Salmons and Emily Salmons nee Stone. 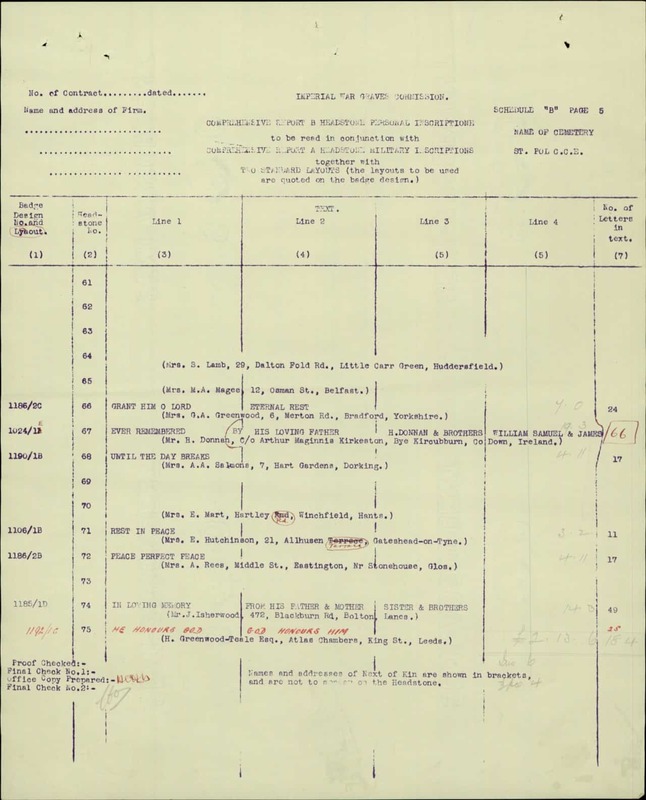 Arthur’s adoptive father William George Salmons was born on the 9th of June 1857 in Romford, Essex to William Salmons and Elizabeth Salmons nee Goodwin. 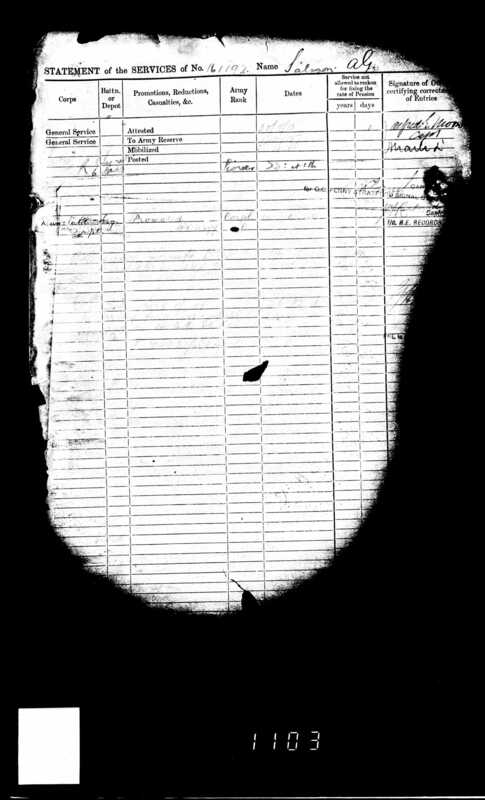 Arthur’s adoptive mother Emily Stone was born on the 13th of August 1858 at Green Street in Norwich, Norfolk to blacksmith Philip Stone, born on the 3rd of March 1835 at Arminghall, Norfolk, and dressmaker Hannah Stone nee Outlaw, born about 1831 in North Tuddenham, Norfolk. 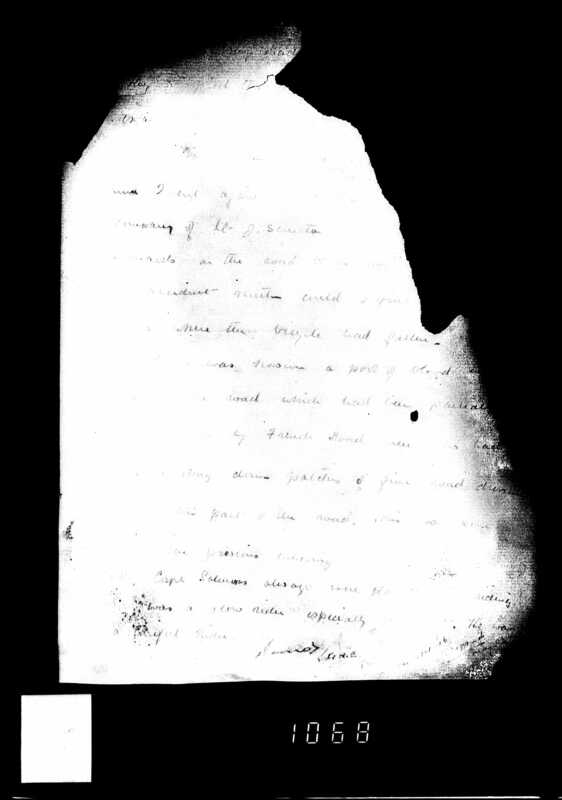 William George Salmons and Emily Stone married on the 8th of August1880 at the Nonconformist New Chapel, Church Path, Walthamstow, Essex. 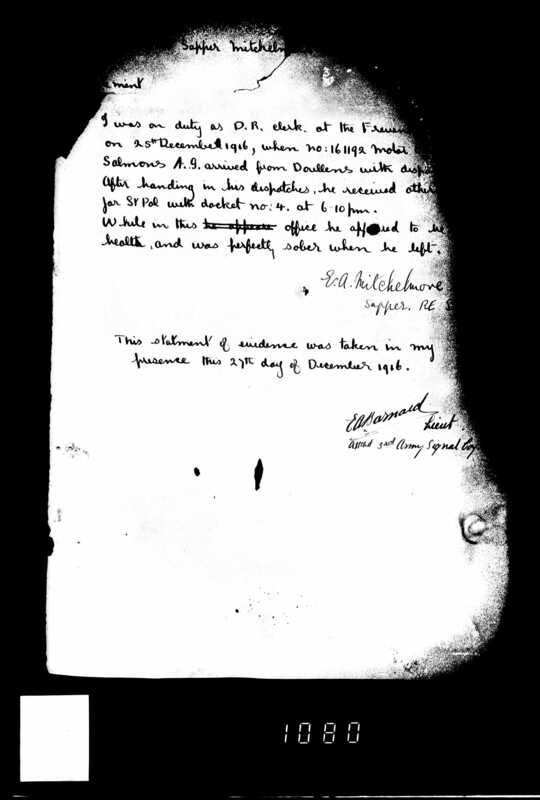 At the time of the 1881 Census, the couple lived at 15 Cuthbert Road, Walthamstow, with William’s twice widowed mother and the three children by her second marriage. At this time, William George Salmons was working as a gardener. 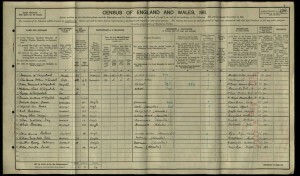 At the time of the 1891 Census, the family lived at Tower Cottages, High Street, Nutfield. William George was working as a coachman and Emily was looking after their children William Philip Salmons, Maud Emily Salmons and adopted son George William Bish. 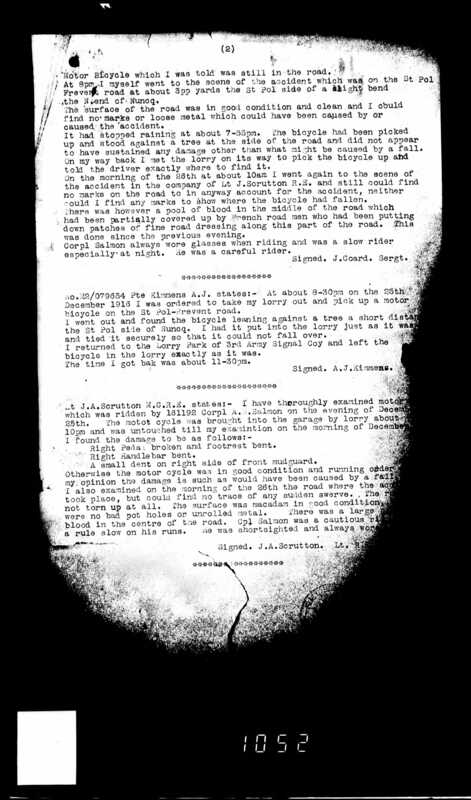 Arthur George Farmer was born about 1893 in Greenwich, Middlesex and adopted by William George and Emily Salmons. 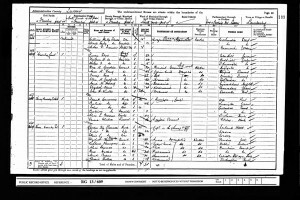 William George and Emily Salmons had two birth children: William Philip Salmons born on the 9th of January 1886 in Walthamstow, Essex and Maud Emily Salmons born in the 9th April 1888 in Walthamstow, Essex. 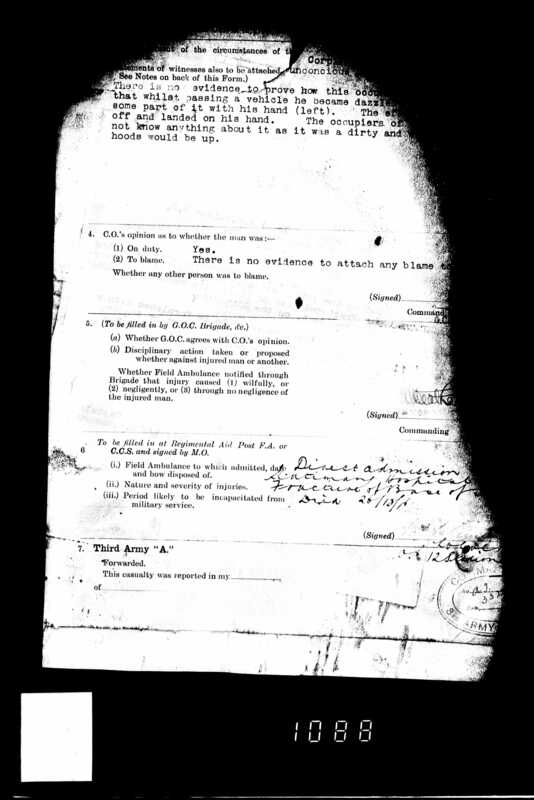 The couple also adopted George William Bish born on the 22nd September 1890 at Rockshaw Cottages, in Chaldon, Caterham, Surrey. 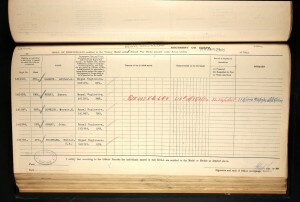 At the time of the 1901 Census, the family lived at Waverley Court, Entrance Lodge, Camberley, Surrey. William was working as a gardener and Emily was looking after their children: confectioner’s apprentice William Philip Salmons and scholars Maud Emily Salmons and Arthur George Farmer (Salmons). 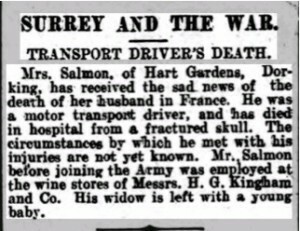 On the 17th of March 1906 William George Salmons died at Withdeane, Lower London Road, Camberley and on the 21st of that month was buried at St Michael’s Church in Camberley. 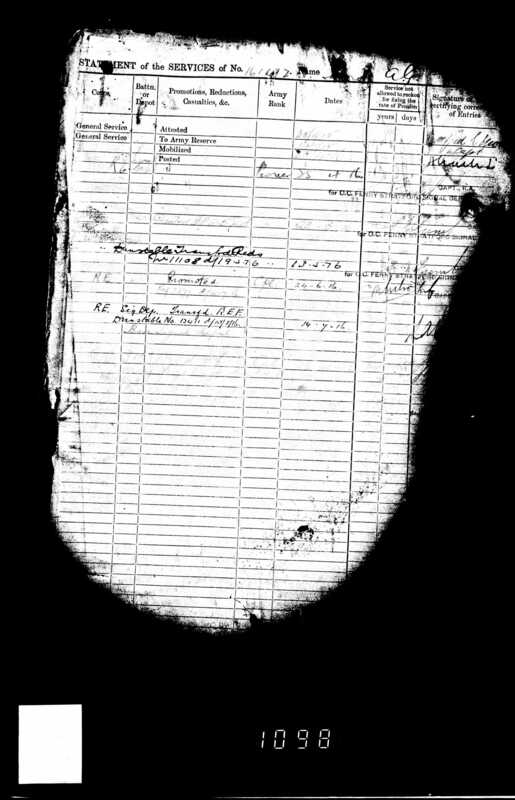 At the time of the 1911 Census, Arthur George Salmons (Farmer) was a footman to Norman McCorqudale at Winslow Hall, Winslow, Buckinghamshire. 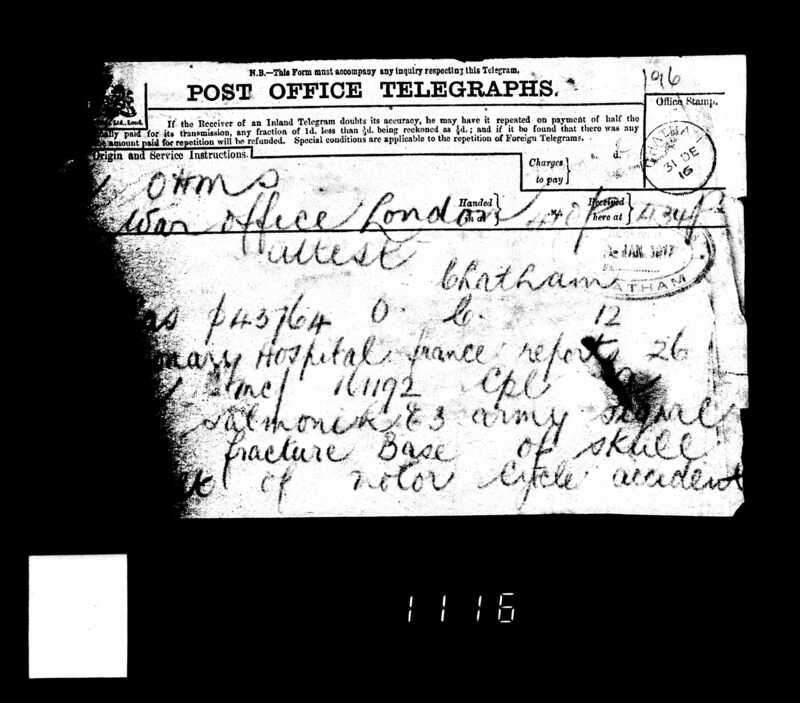 Arthur George Salmons (Farmer) married by Banns Annie Agnes Daley on the 4th of April 1915 at St Martin’s Church in Dorking. 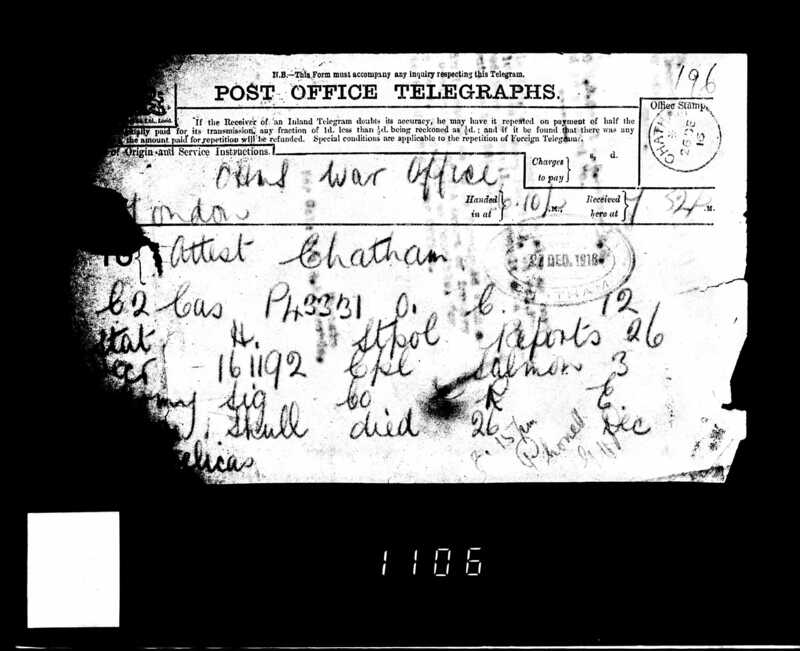 Arthur’s widowed mother, Emily Salmons, was one of the witnesses and his brother-in-law, Charles Henry Childs, was another. At the time of the marriage, the couple lived at 39 Hart Road in Dorking and Arthur was working as an assistant wine merchant. 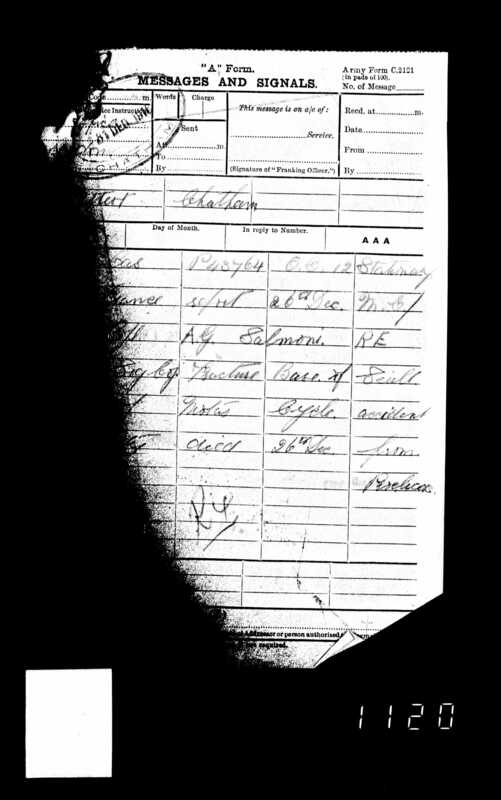 Annie Agnes Daley was born on the 2nd of August 1894 in Lowestoft, Suffolk to smacks man (fisherman) Joseph Daley and Emily Daley nee Firman. 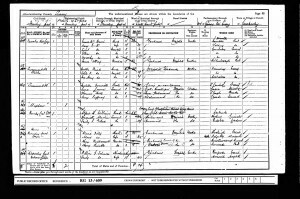 Annie’s parents Joseph Daley and Emily Firman married on the 4th of November 1893 in Blundeston, Suffolk. 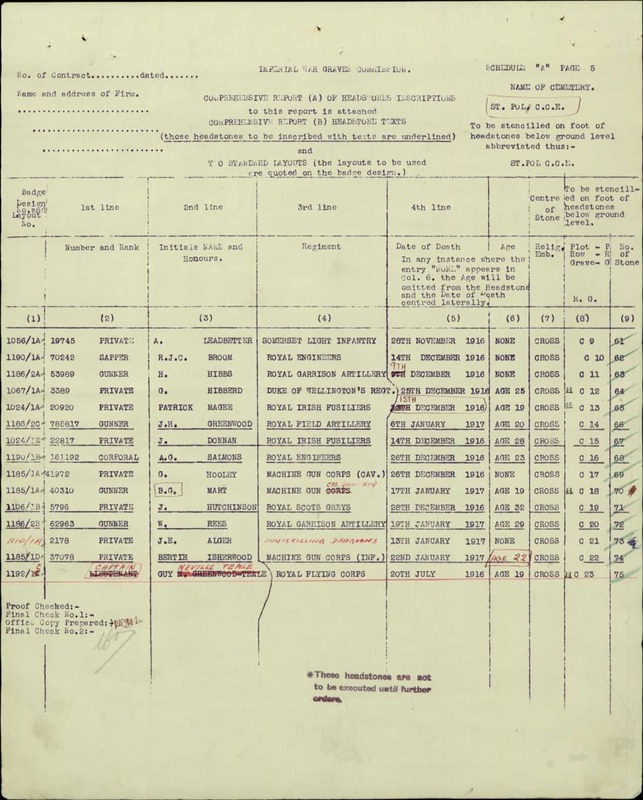 At the time of the 1911 Census, Annie was working as a shop assistant and was living with her mother Emily and siblings at 57 Stanford Street, Lowestoft, Suffolk. Arthur George Salmons (Farmer) and Annie Agnes Salmons had a son, Joseph William Salmons. 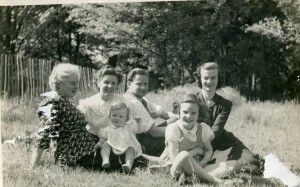 The child was born on the 1st of February 1916 at 7 Hart Gardens, Dorking where the family lived. 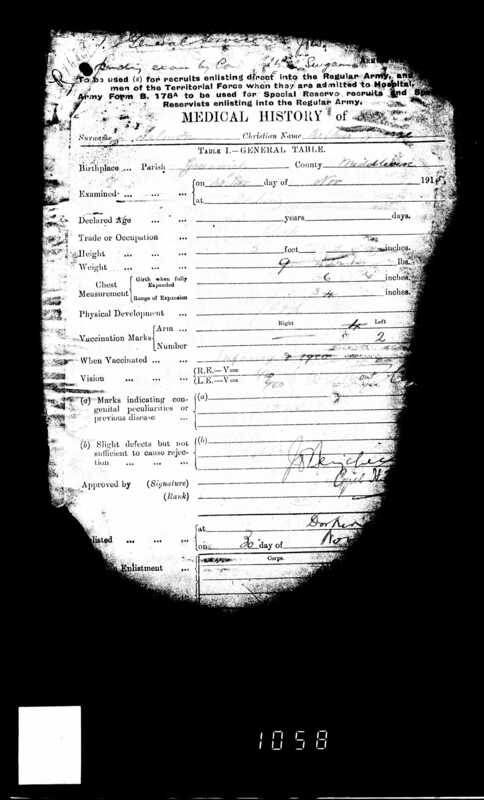 Arthur George Salmons (Farmer) enlisted on the 30th of November 1915 in Dorking, Surrey into the Royal Engineers for the duration of the war. 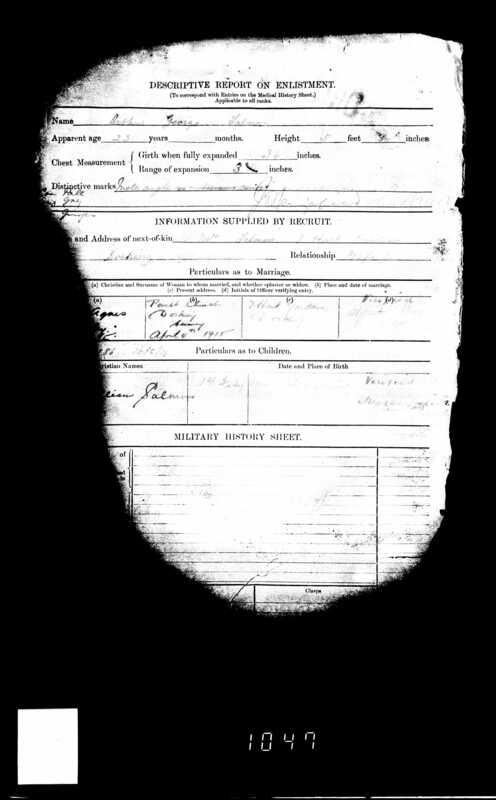 On the 1st of December 1915 he was transferred into the Army Reserve. 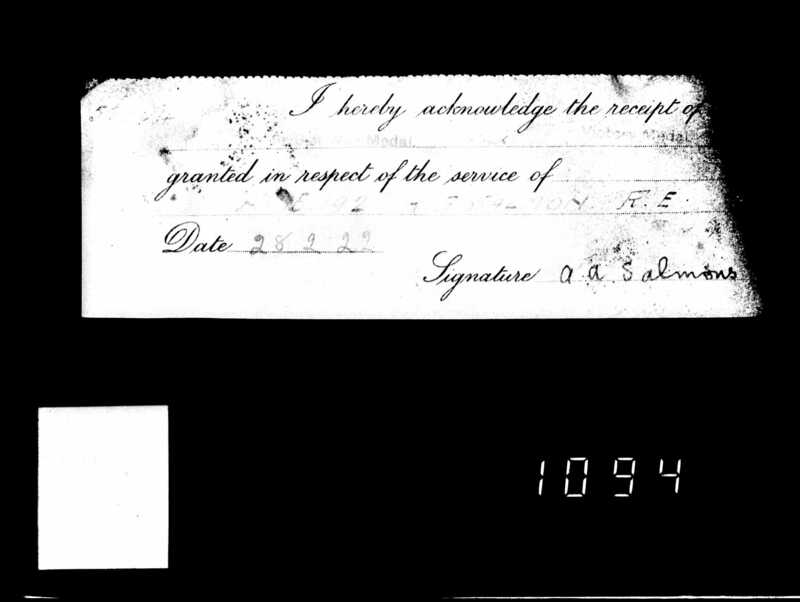 His regimental number was 161192. 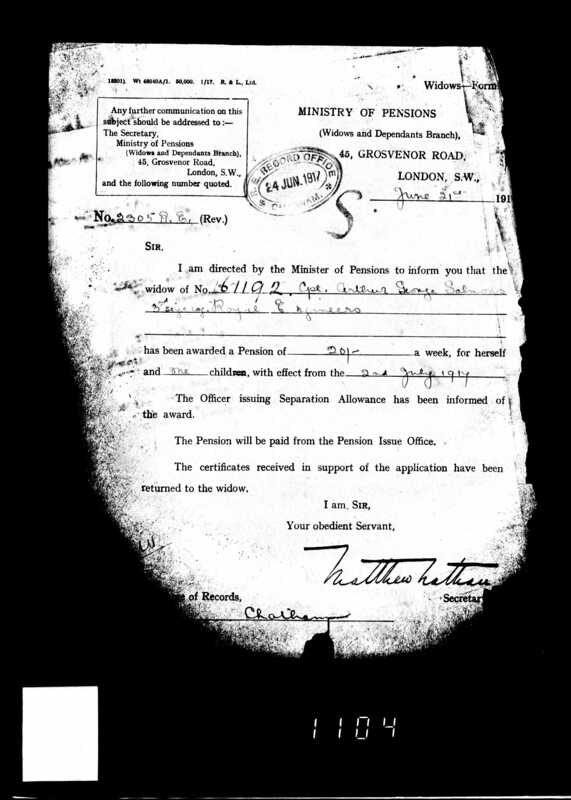 At the time of his enlistment Arthur resided at 7 Hart Gardens in Dorking, Surrey and was working as a clerk. Arthur had grey eyes, ginger hair and a pale complexion. He was 5 feet and 8 inches tall and was short-sighted. 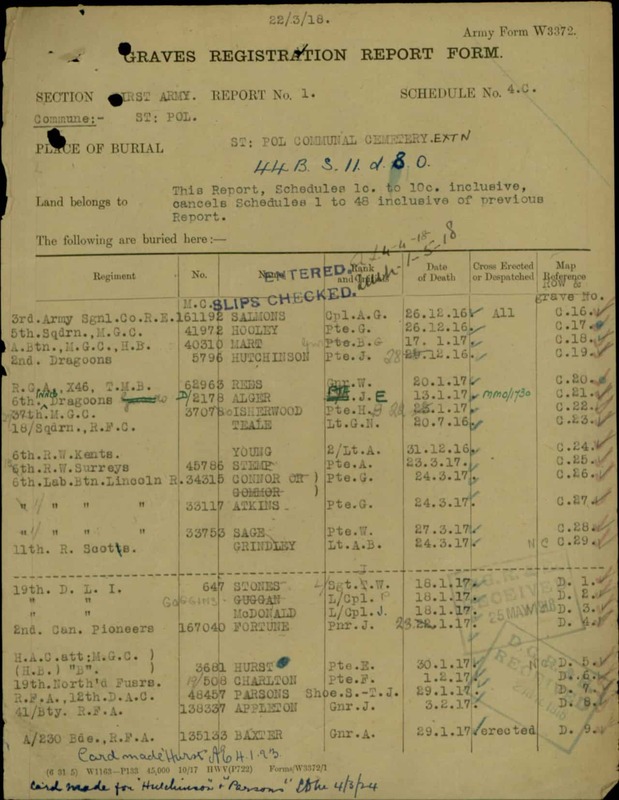 Arthur George mobilised on the 20th of April 1916. 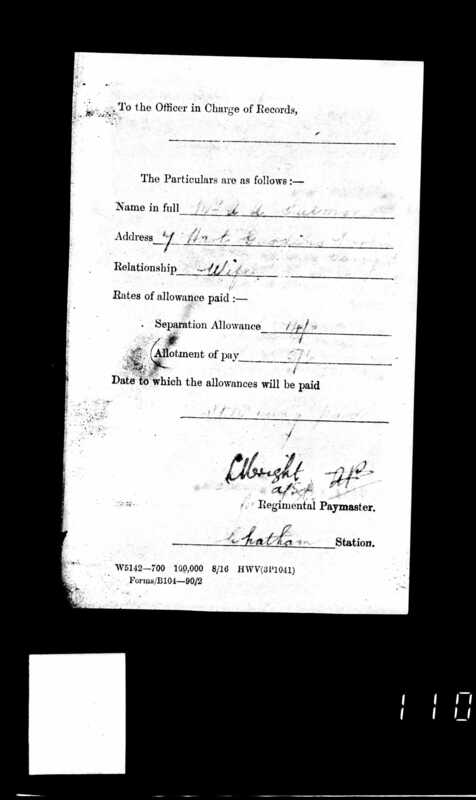 His service was from the 25th of April 1916. 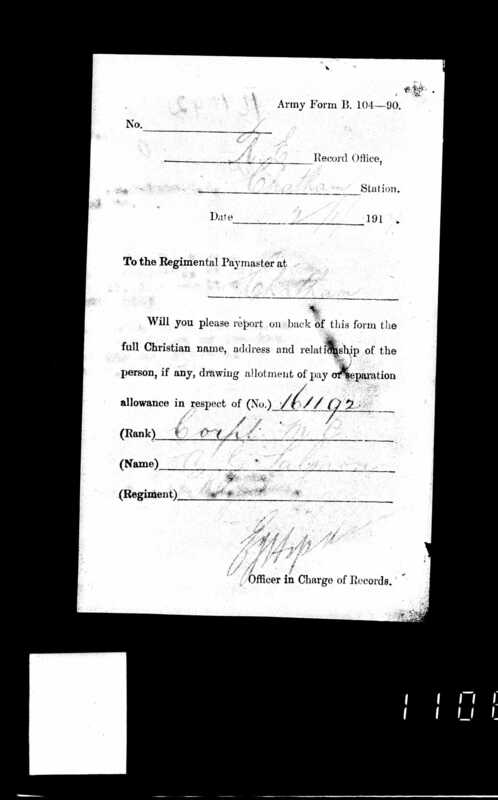 Arthur George was qualified as a trained motorcyclist. 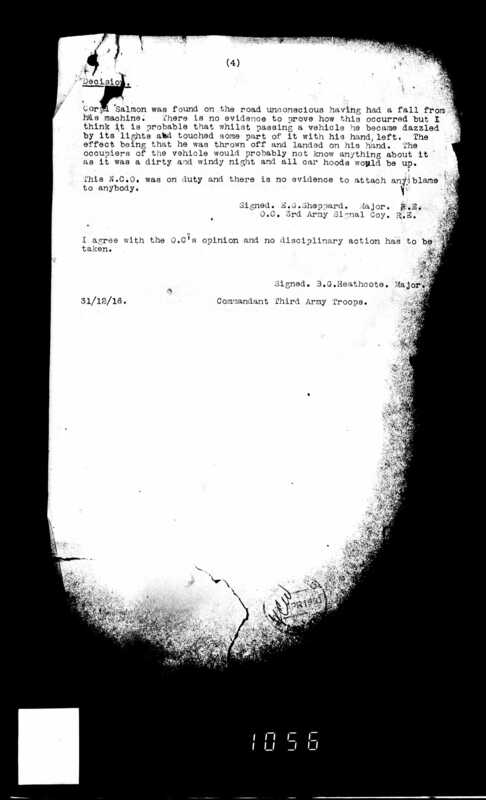 On the 24th of June 1916 he was promoted to a Corporal. 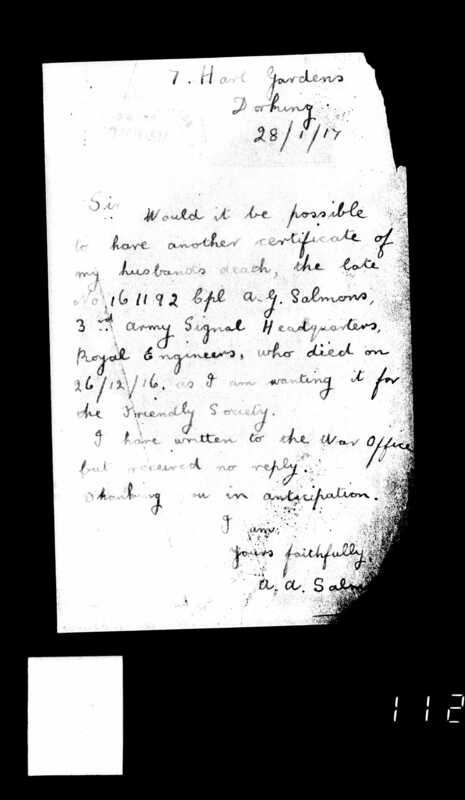 At the time of his death Corporal Salmons was a motor dispatch rider of the 3rd Army Signal Company, the Royal Engineers. He died on the 26th of December 1916 at No 12 Stationary Hospital in France, after fracturing the base of his skull in a motor cycle accident. 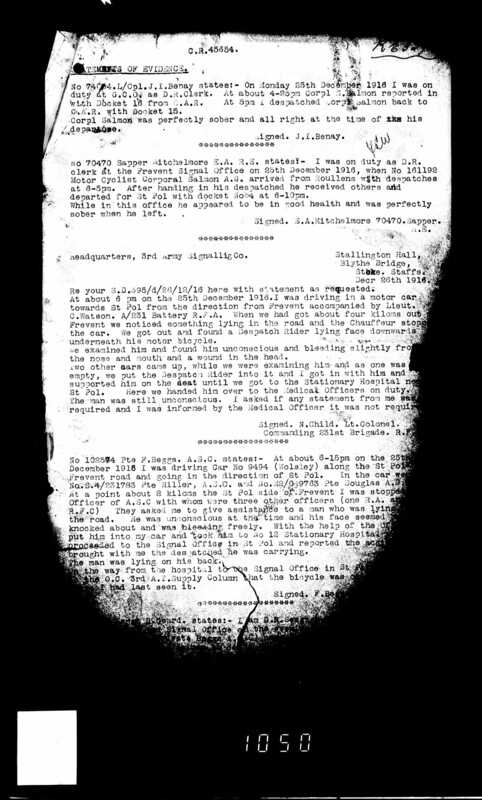 The investigation of his death revealed, that on the 25th of December 1916 Corporal Salmons arrived from Roullens with despatches at 6-05PM. 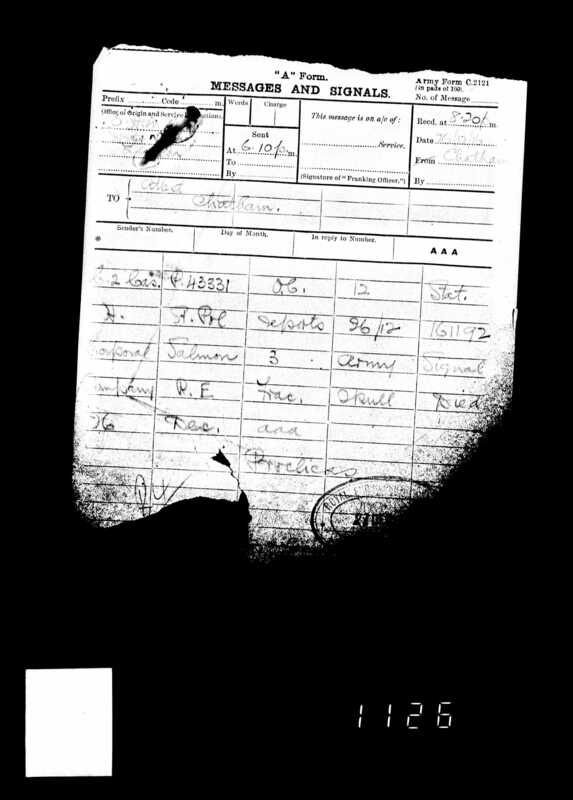 After handing in his despatches he received orders and departed for St Pol, his headquarters, with docket No. 4 at 6-10pm. 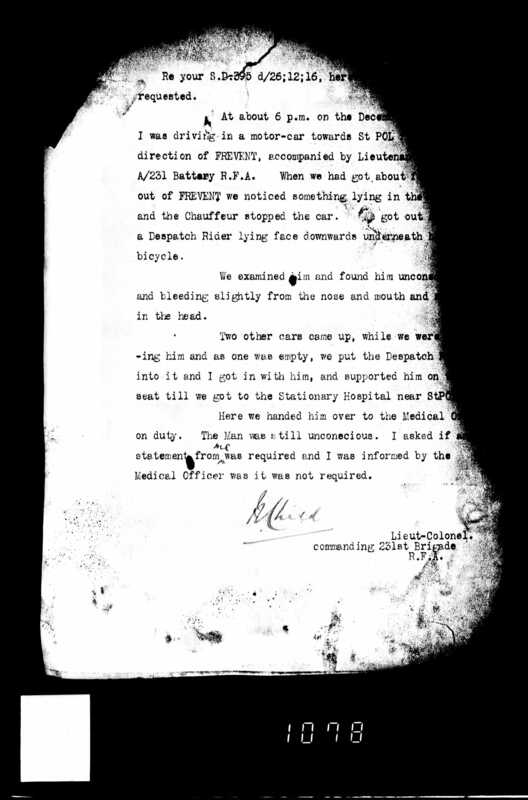 He was later found by Lt Col N. Childs who was also driving towards St Pol. 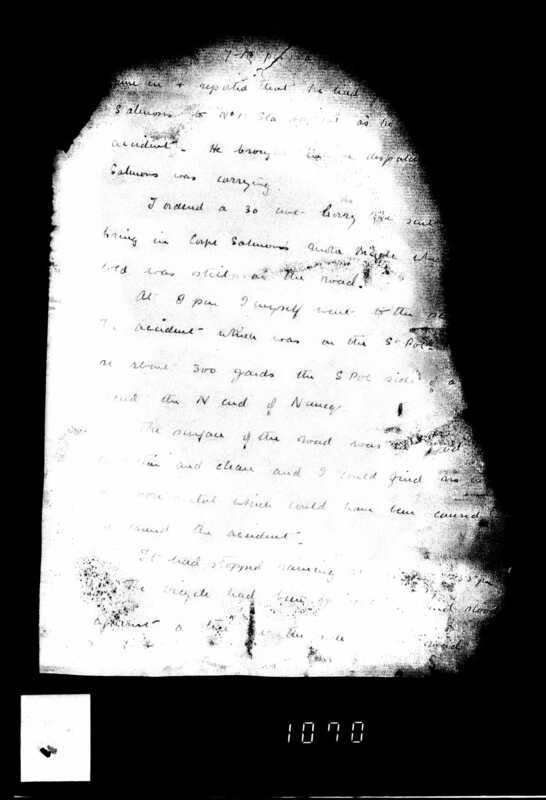 When Childs and his companion reached approximately 4km out of Frevent they noticed something lying on the road. They found a Despatch Rider (Corporal Salmons) lying face downwards underneath his motorcycle. He was unconscious and bleeding slightly from the nose, mouth and from a wound in the head. Two other cars came by and Corporal Salmons was put into one of them. 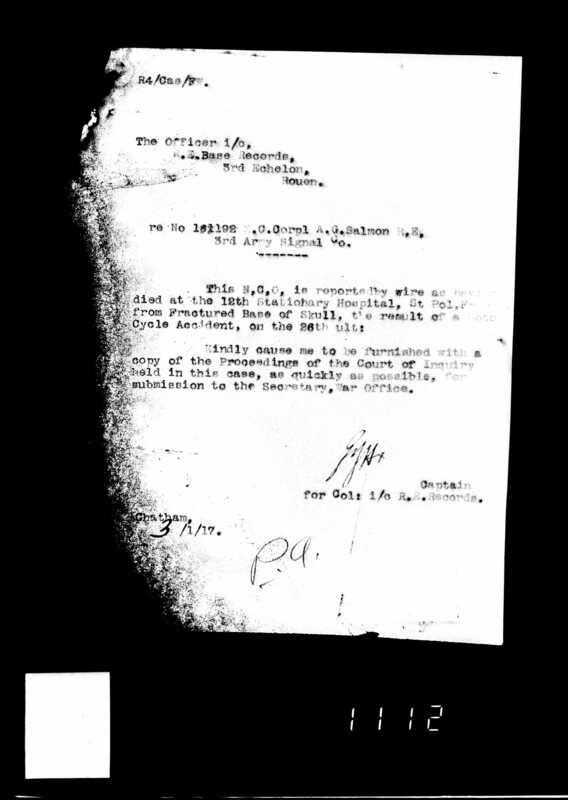 Lt Col Childs got in with him and supported him on the seat until they got to the 12 Stationary Hospital near St Pol. 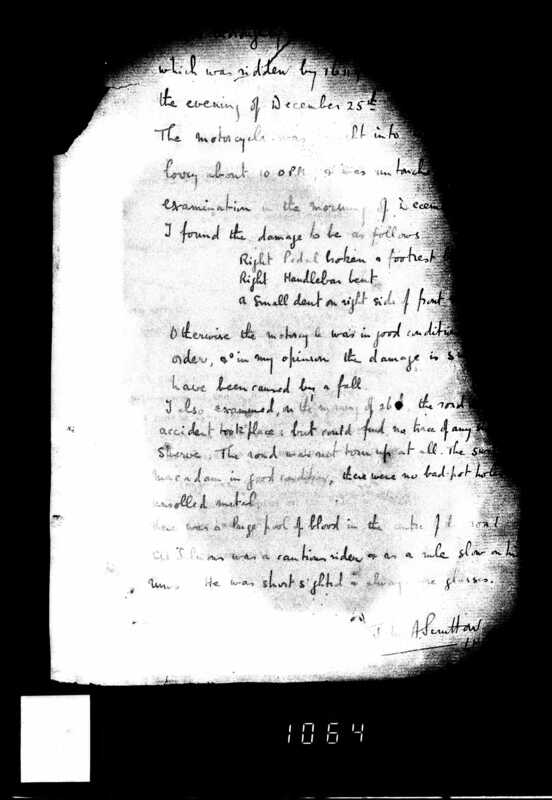 A medical care sheet reveals that Corporal Salmons was admitted at 7pm on the 25th of December 1916 and died at 2.30pm the following morning of a fracture of the base of the skull with extra-dural and subdural haemorrhage. He had no haemorrhage in the brain. 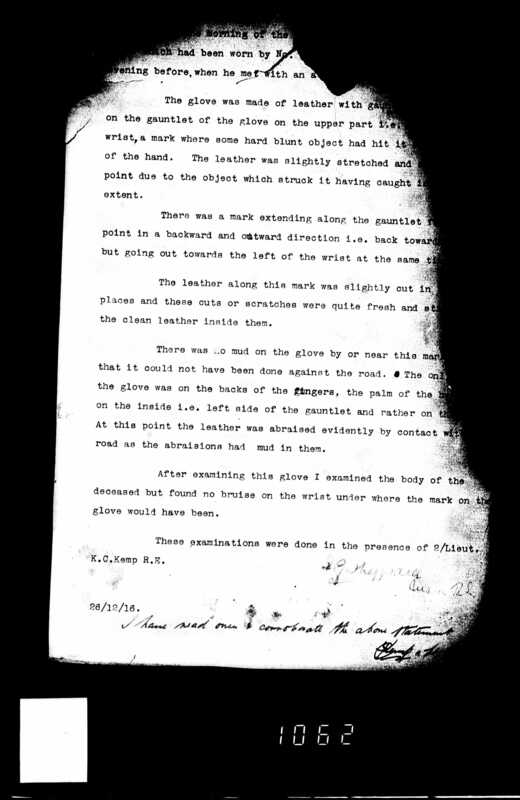 External marks showed abrasion on his nose and both hands. He had no bruising on his shoulders, hips or scalp. He never regained consciousness. The investigation concluded that there was no evidence to prove how the accident occurred. 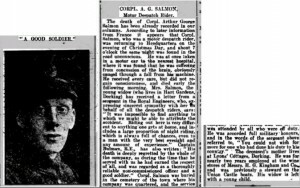 Corporal Salmons always wore glasses when riding as he was short-sighted. He was a slow and careful driver – especially at night. 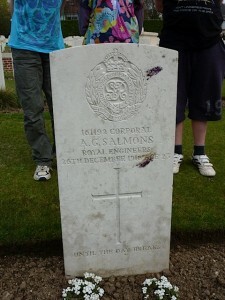 Arthur George Salmons (Farmer) is buried at the St Pol Communal Cemetery Extension in France. His grave reference number is: C.16. The headstone bears the inscription: “Until the Day Breaks”. 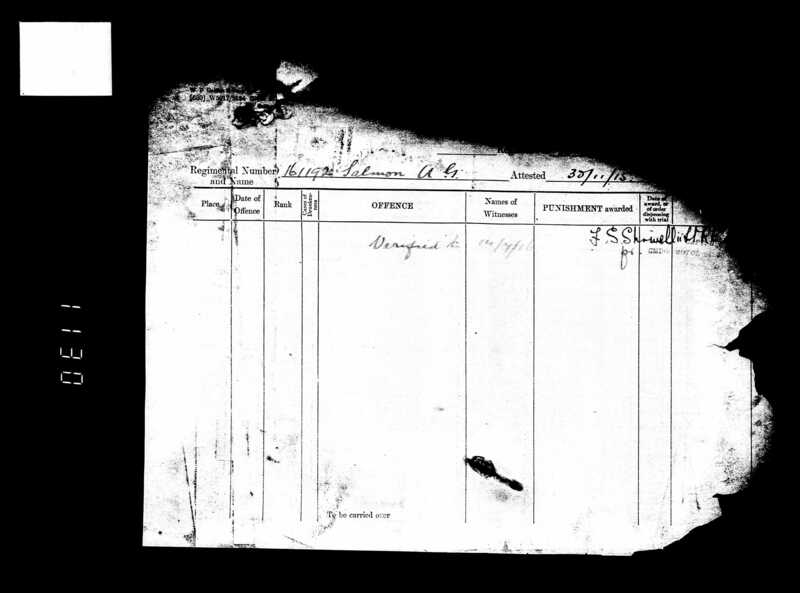 Corporal Salmons’s company was quartered at St Pol and the service was attended by all who were off duty. 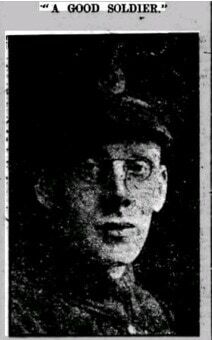 Before joining the Army, Arthur George Salmons (Farmer) was employed for nearly two years at the wine store of Messer’s. 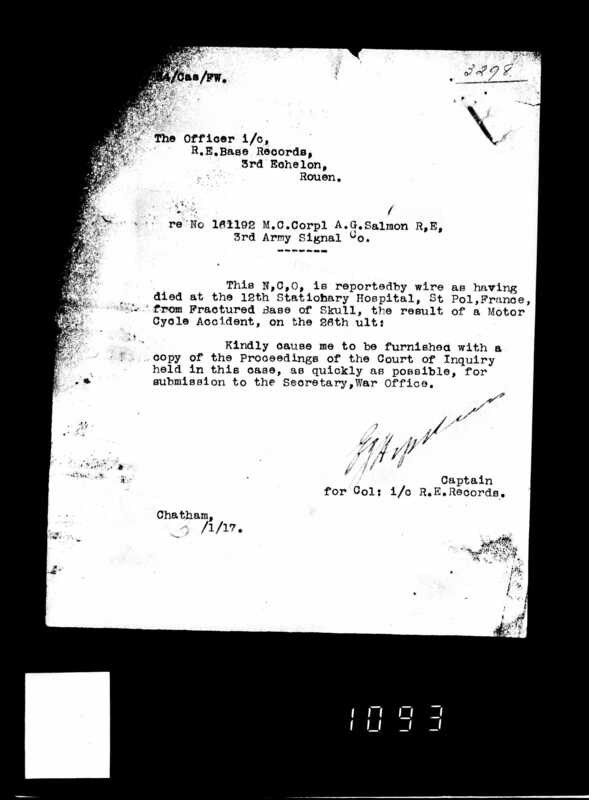 H. G. Kingham and Co. Prior to that he had been a steward on the Union Castle boats. 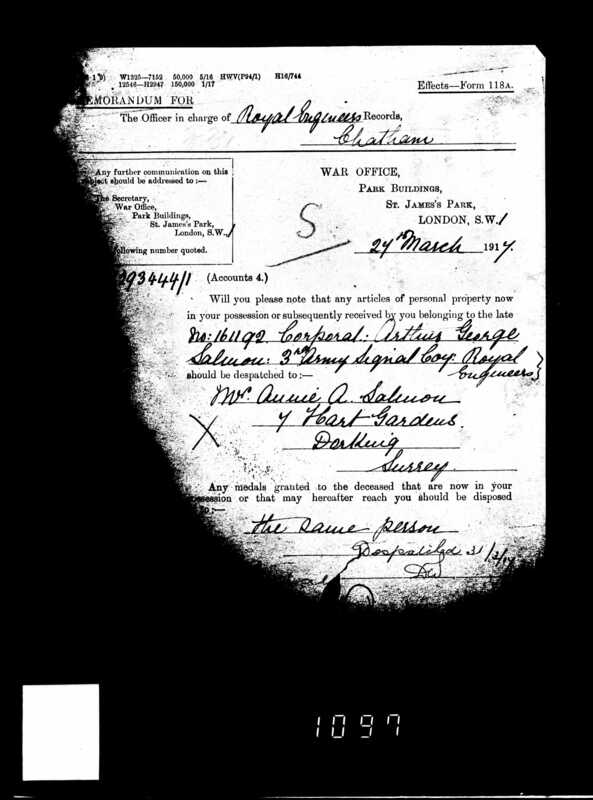 Annie Agnes Salmons received £4 and 6s on the 27th of March 1917 and £4 in November 1919 in Soldier’s Effects. She lived at 7 Hart Gardens in Dorking, Surrey. 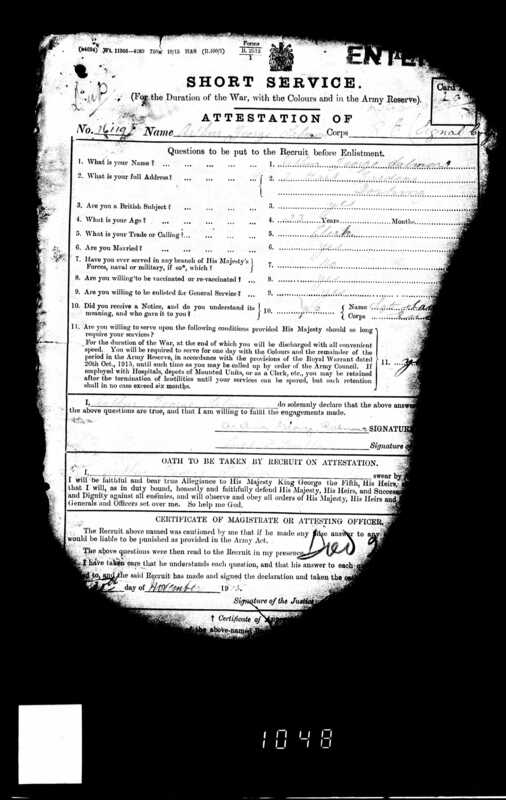 Annie Agnes was also awarded a pension of 20, – per week for herself and one child with effect from the 2nd of July 1917. Arthur George’s mother lived at Lyon’s Cottages, Dorking, Surrey. 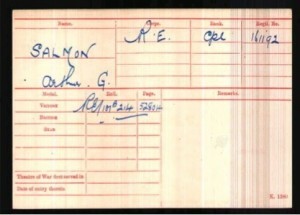 Arthur George Salmons (Farmer) received the British War and Victory medals. 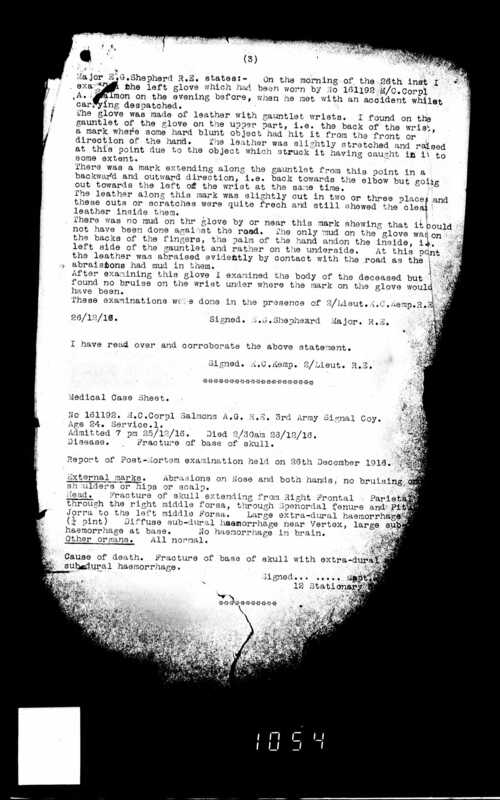 Detailed information on the family of Arthur George Salmons (Farmer) can be found here.